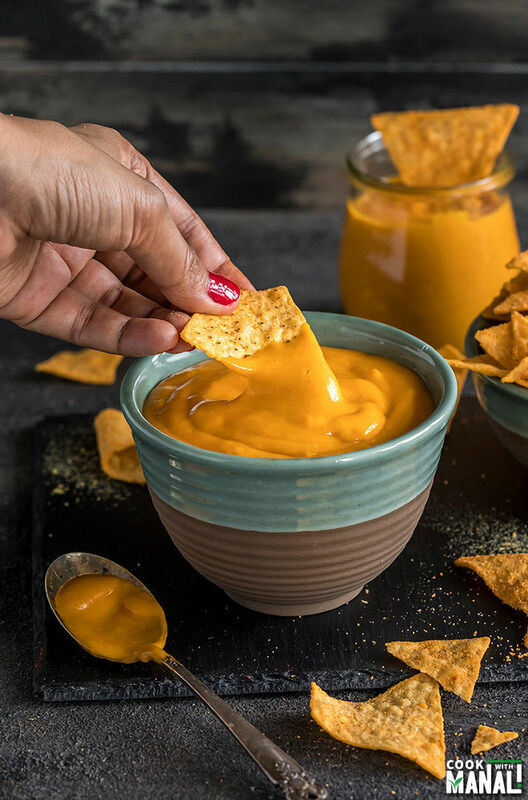 Super cheesy and creamy Vegan Cheese Sauce made in the Instant Pot! Use it on nachos, as dips, over pasta or make your favorite mac & cheese! Vegan cheese? Have you guys ever tried it? I am not a vegan but I am often intrigued by some of the vegan products that I see in the market. I remember once I was very fascinated with tempeh and bought a big packet from the store. I was not able to eat it at all! I can eat pretty much everything as long as its vegetarian but I wasn’t able to eat tempeh. Maybe it was just me and I need to give it another shot? Recently, I bought a pack of vegan cheese to use on my pizza from Trader Joe’s. To my disappointment, it turned out really bad and ruined my pizza. I just couldn’t eat it. There was no taste and it was all a big mess. Is there any vegan cheese that you guys like? Let me know and maybe I will give it another go. Anyway, I am not a very cheese person but sometime back I happened to try a vegan cheese sauce at a restaurant which I really enjoyed. I thought it was so cheesy and so perfect and I couldn’t believe it was vegan. 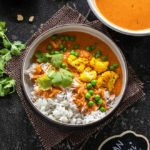 Since then, making a vegan cheese sauce has been on my to do list and what better than using my Instant Pot to do it! You guys, this sauce is so cheesy, really it tastes like the real deal. You would have a hard time believing it’s all vegan. Well you start off with some creamy vegetables like carrots, potato. Add cashews for more creaminess, add in some spices for flavor and then add the most important ingredient – nutritional yeast! Have you guys ever had nutritional yeast? I started adding to it salads, soups and dips recently. Don’t confuse this with the active dry yeast that you use for baking. This is totally different, it’s deactivated yeast and you can find it online at amazon or at stores like Whole Foods, Trader Joe’s. Adding the nutritional yeast really bring out the cheesy flavor. This is one ingredients which you absolutely cannot skip in this recipe! 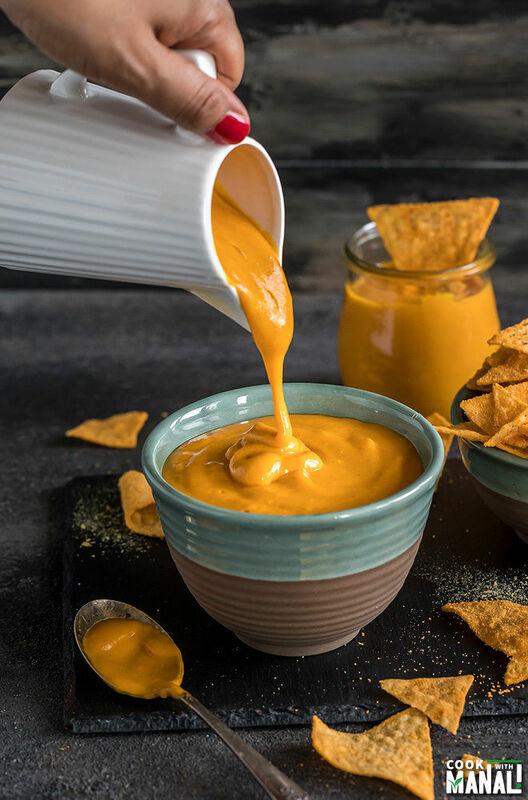 This vegan cheese sauce recipe is so simple to make in the Instant Pot. You just need to dump everything together, cook it on high pressure and then puree it in a blender to a smooth sauce. 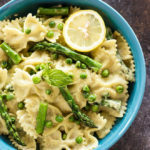 How to Eat The Vegan Cheese Sauce? I hope you guys give this recipe a try. It’s made with simple ingredients (except the nutritional yeast) and is really good. 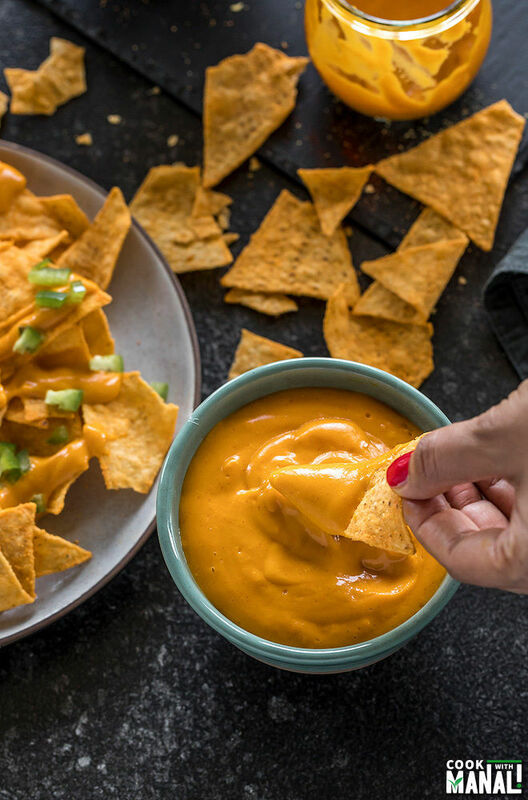 Can I Freeze The Vegan Cheese Sauce? Yes, you may! I divide the sauce into small portions and then freeze each portion in a separate ziplock. Squeeze as much air as possible from your ziplock and then freeze. Take out the portion that you want to use and place in the refrigerator overnight. I have in fact frozen couple of portions and I will get back to you how it works. 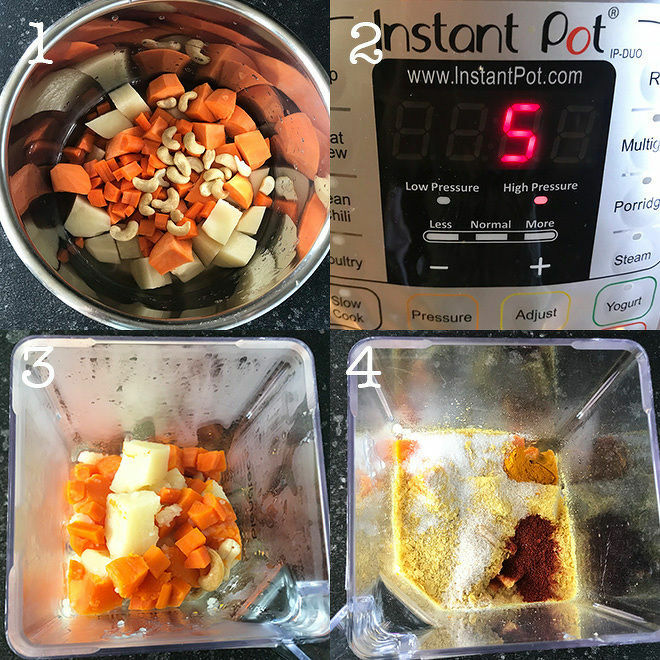 1- To your instant pot add cubed russet potatoes, sweet potatoes, carrots, cashews and 1 cup water. 2- Close the pot with its lid. Press the manual/pressure cook button and cook on high pressure for 5 minutes. The pressure valve should be in the sealing position. Let the pressure release naturally for 5 minutes and then do a quick pressure release by manually moving the valve from sealing to venting position. 3- Let the veggies cool down a bit and then transfer them to a high speed blender. 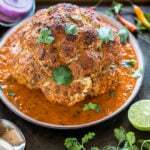 4- Add nutritional yeast, smoked paprika, garlic powder, salt, turmeric, white vinegar, lemon juice and 1/4 cup of either water or almond milk. Pulse for 30 seconds or until the sauce is super creamy and smooth. Transfer vegan cheese sauce to serving bowl. Enjoy with chips or veggies! 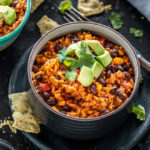 If you’ve tried this Instant Pot Recipe then don’t forget to rate the recipe! You can also follow me on Facebook, Instagram, Pinterest and Twitter to see what’s latest in my kitchen! 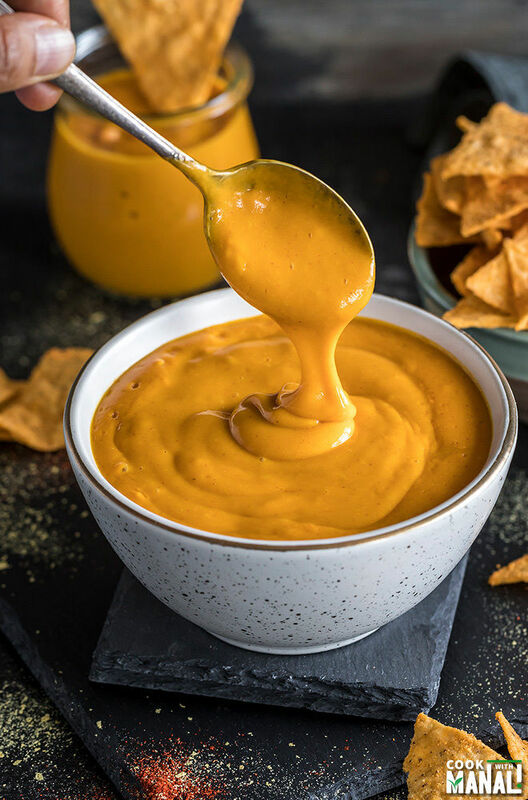 Seriously amazing Vegan Cheese Sauce made in the Instant Pot! Super quick, so smooth & creamy that you won't believe its vegan! 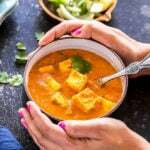 To your instant pot add cubed potatoes, sweet potatoes, carrots, cashews and 1 cup water. Close the pot with its lid. Press the manual/pressure cook button and cook on high pressure for 5 minutes. The pressure valve should be in the sealing position. Let the veggies cool down a bit and then transfer them to a high speed blender. Add nutritional yeast, smoked paprika, garlic powder, salt, turmeric, white vinegar, lemon juice and 1/4 cup of either water or almond milk. If you want to spice is up: add cayenne pepper, green chilies. To add more flavors: add in some onion powder, miso paste or tomato paste. Is one cup a serving? No but it makes 4 cups and I am not sure how many people it can serve..it totally depends! For store bought vegan cheese, try Follow Your Heart’s Mozzarella. Melts beautifully in vegan lasagna. We like their sliced cheese Pepperjack and Smoked Gouda. As for the tempeh, try it when an Indonesian has cooked it for you. They fry it in this sweet, salty, tangy sauce. Can you reheat the cheese to use for dipping with chips once you have refrigerated it? Awesome! I would have never thought to use our pressure cooker instead of just boiling the veggies. Brillant! How many serving is are the nutritional facts based on? Just wondering the size (cup, tablespoons, etc…) of one serving that the calorie count, etc.. was based. Thank you! 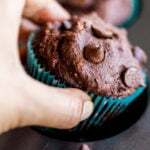 1 cup (8 oz) for this recipe..and this nutritional information is calculated by a plugin so it can never be 100% accurate but it definitely gives an idea! OK. I made this today and I suppose being new to Veganism, I thought this was pretty gross. Maybe I had too high of expectations for an imitation cheese. 😩 I did end up making 7 cups. Maybe I used too much potatoes and not enough seasonings? Sorry you didn’t like it..try adding more seasoning like onion powder, maybe more cayenne pepper and tomato paste? And it does take some time to like the taste of vegan cheese..
Yeah I agree with you. The fact that there is no vegan butter in there is really a plus. Tempeh is really good, but you need to steam it for about 10 minutes before you do anything else. Many recipes do not include this step, but it doesn’t taste good if you don’t steam it, then add marinade, and carry on. Also, I love Trader Joe’s, but their vegan cheese is the worst…..blech. I like Daiya cheddar slices, and Daiya shreds. 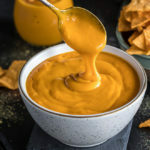 I make cheeze sauce pretty similar to this recipe, but I am defiantly going to try your variations, thank you. Fresh homemade tempeh is nothing like commercial. It is incredible. I will need to try it then! 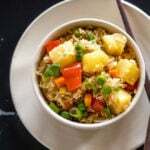 Earth Island makes a great vegan (for me it’s the dairy free that won me over!) cheese… I use the cheddar for my homemade pizza. It even melts like cheese! I will definitely try it! Thanks Christy! This looks similar to my stove top recipe! Was wanting to try to use the instant pot and then came across your recipe. Super stoked to see that it works and will be making today. To the new vegan who said it was gross, you just need to add more seasonings like any recipe until you like! I added dijon mustard and omitted the vinegar (I always regret when I use vinegar, I’m super sensitive to the taste) and I love it! So quick and easy! I made it for my lunch today at work! I am glad to hear that Summer! Which model of IP do you use? There are so many options, i really find them confusing. Can you please share a link? Thanks. can use almonds or some people also suggest using white beans in place of cashews! I like it. I need to warm it up and try it properly as I made the vegetables and then had to run off to work. However, my initial pretasting was very pleasant. question –You are supposed to drain the vegetables right. Excited to try this in the IP tomorrow! For a store bought, the only one we have found that is good is CHAO. It is perfect for grilled cheese sandwiches, it melts and taste great! I made it last night! We put it over baked potato and roasted broccoli. A win for my kids! They are used to all kinds of vegan cheeses. My mother is vegan and we eat plant based 99% of the time, so they have had store bought and home made vegan cheese of all kinds. They said they want me to make it often to eat with their broccoli and other veggies. Victory for me! lol…they are the taste testers. I’m planning on picking up tortilla chips today and reheating the sauce to have nachos with the fam. Thank you for sharing!! awesome! so happy the kids liked it! Delicious – love having a “cheese sauce” recipe that uses whole, healthy foods. Served it on macaroni and baked it. Will freeze the leftovers. Thanks for sharing such a great recipe. well I am glad it worked with yukon gold too! why is this vegan cheese high in sodium?